CALL FOR CONTRIBUTIONS – Panels, papers, performances, screenings, collaborations and workshops. The second biennial PARSE conference at the Faculty of Fine, Applied and Performing Arts, University of Gothenburg, Sweden November 15-17, 2017 takes as its point of departure the question of EXCLUSION. All contributions will be recorded for archive purposes and may be used as part of future PARSE publications. This entry was posted in Art, Conferences, Design, Graphic Design, New Media, Photography on January 19, 2017 by Saara. Welcome to the Media Lab Doctoral Seminar on Thursday January 26th from 17:00–19:00, room 429 at Miestentie 3 (Otaniemi), 4th floor. Smartphones are often described as something that extends the user’s body, but what does this contact mean in terms of film experience? The emerging discipline, which deals with the application, advantages and drawbacks, social and economic effects of mobile usage is often limited either to user behavior (such as forms of communication or consumption) or to the interface (interface design, affordances), but rarely focuses on the cognitive impact of the user-device interaction. Using interdisciplinary approaches, in my doctoral thesis I attempt to turn the spotlight on how this interaction affects film and video experience, and how it requires new viewing strategies from the users’ side, and potential new strategies from the content producers’ side. The thesis borrows concepts from cognitive, behavioral, and developmental psychology in order to describe how spectators evolve with the new media environment, and what factors inform this development for a generation in the age of digital cinema and portable screens; it applies semantic and media archeological points of view to highlight the way smartphone interfaces remediate older media (among others the cinema screen); it turns to ecological psychology, game studies, and concepts around haptic interfaces to define the immersive and interactive nature of film experience within various virtual and physical spaces; and lastly, presents the empirical findings—the impact of smartphone film experience on physiological responses. The empirical section of the thesis seeks answers to how audiovisual footages, such as mobile-distributed movies, commercials, and videos can communicate in the most effective way. In this experiment volunteers are asked to watch approximately 8-10 minutes’ footages of a set of English-speaking commercial movies on a smartphone, while their eye movements, heart rate, skin conductance, and pupil dilation is measured in correlation with their eventual interaction with the device/video player application. The experiment is being designed to measure what effects the screen size, the physical connection between the user’s body and the device, the multiple viewing options that mobile video players offer, and most importantly, the active environments in which smartphones are typically used have on attention, engagement, and the feeling of presence. 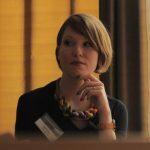 Kata Szita is a visiting researcher at the Department of Media at Aalto University, and a PhD candidate in Film Studies at the University of Gothenburg with an interest in neurocinematics, cognitive film studies, and empirical methods like eye tracking. 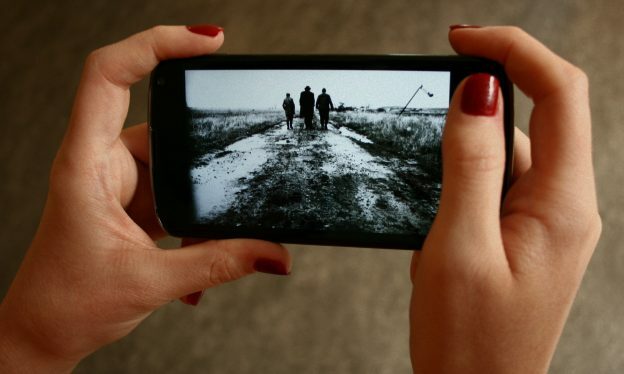 In her PhD thesis she uses these approaches to describe the relocation of cinema onto smartphones, and investigates the role of social development in adapting to the newest viewing conditions. Besides having an extensive practical experience in filmmaking and television production, Szita holds a Master’s degree in Cinema and Media Studies and received her undergraduate education in Sociology and International Relations. This entry was posted in New Media, Seminars on January 18, 2017 by Saara. With the third edition of After Post-Photography we will continue to explore how photographic images and realities – whatever they may be – are interconnected. We share the post-photographic critique that these connections are by no means stable as concepts such as indexicality suggest. Yet in particular the practices of using and perceiving photographic images treat the images as if they indeed were imprints, records, representations or models of realities. With the conference After Post-Photography 3 we aim in particular at reconsidering and reflecting how notions such as indexicality and the truth of the photographic image retain their validity and importance even after they were deemed obsolete. Reconsidering the history and historiography of photography. History of photography as a history of practices. Applications of photographic processes for producing non-photographic images. Photographic aesthetics for non-photographic images. Applications of photography for memory, remembrance, and reconstruction. Analog features in digital photography. Pre- and post-production in photography and film. Representing temporality by the means of photography and film. In particular we encourage papers dealing with the mobilisation of photography by way of smart phones, tablets, drones, dash and body cams. We would like to discuss in more detail how the relation between the picture and the depicted change with these tools; we are interested in contributions that shed light upon the practices of how the resulting images are perceived and processed; and we would love to know more about the role and recording of metadata of all sorts inextricably connected to these images. Please submit your application including a short summary of your paper (250-400 words) in English using the following link https://easychair.org/conferences/?conf=app3 no later than 22 January 2017. NB that you should register at Easychair website to be able to submit your application. There is no participation fee. We consider the possibility of on-line participation. Working languages of the conference are Russian and English. The conference materials are planned for publication. Conference dates: 19.–20. May 2017. This entry was posted in Art, Conferences, History, Photography, Theory on January 18, 2017 by Saara. Cécile Colle and Ralf Nuhn (FR), ’cONcErn: towards a of art, for art, and through art’; Anik Fournier (NL), ‘Rudimentariness: a concept for artistic research’; Joe Graham, Steven Dickie and Chantal Faust (UK), ‘ANCHORAGE: a phenomenology of outline’; Lisa Stuckey (AT), ‘Haunted by last season’s video letters: amateur films performing spectrality’; Jan Schacher and Patrick Neff (CH), ‘Moving through the double vortex’. Keywords include: amateur film-making, spectrality, mesology, conceptual art, touch, sensate thinking, drawing research, phenomenology, corporeality, interdependence, performance. Have a look at the full issue here. The Journal for Artistic Research (JAR) is an international, online, Open Access and peer-reviewed journal that disseminates artistic research from all disciplines. JAR invites the ever-increasing number of artistic researchers to partake in (and reinvent) what for the sciences and humanities are standard academic publication procedures. It serves as a meeting point of diverse practices and methodologies in a field that has become a worldwide movement with many local activities. The journal promotes experimental approaches to both writing and reading research. We welcome submissions from across and between disciplines, from artists worldwide, with or without academic affiliation. This entry was posted in Art, Journals, Theory on January 18, 2017 by Saara. The scientific committee of the 6th Afroeuropeans: Black Cultures and Identities in Europe network conference has accepted over 30 sessions that explore the multidisciplinary nature of the scholarship and create dialogue between academics, activists and artists from around the world. Titles and descriptions of the accepted sessions and instructions for submissions can be found on the conference website http://www.uta.fi/yky/en/6thafroeuropeans/callforpapers.html. Proposals that do not directly deal with the topics of the accepted sessions can be submitted under the category “Other” on the electronic form. For more information on the conference programme and the cultural programme organized together with our collaborators, please visit the conference websitehttps://www.uta.fi/yky/en/6thafroeuropeans/index_en.html. This entry was posted in Conferences on January 18, 2017 by Saara. Over the past two decades, the Art of Research conferences have had a significant role in promoting continuous dialogue and fruitful convergence between art- and design-related research practices. The conferences have contributed to the development of rapidly growing and spreading contemporary discourse on artistic and practice-led research – while acknowledging and engaging in multiple notions of research where diverse modes of creative practice are used as catalysts for enquiry. How do artistic research activities act as catalysts in the domain of different praxes? How can ideas and/or practices of catalysis be considered within a particular research processes, or in relation to larger contexts and realms of art, politics and society? Art of Research VI conference explores the different manifestations, articulations and emergent agencies triggered by artistic means and related methods of theorizing. In the context of artistic research, catalysis is understood as an action that causes reactions and continues to activate critical thinking that provokes further reactions. Therefore, Art of Research VI focuses on the multitude of bodies of artistic and practice-led research and their effects towards producing new knowledge, new experience, new materialities, new theoretical insights, new praxes and poetics. · How can artistic and practice-led research offer alternative accesses and options for challenging established epistemologies? · How can artistic and practice-led research trigger revisions and transformations in art and design in relation to present day ethical, societal and environmental challenges, on a diversity of scales? · How does artistic and practice-led research intervene in the realms outside the art world or academia? How does it relate to activism/artivism? · How can artistic research enable collisions of different practices, methods and agencies? · How is thinking at the intersection of poetics, ethics and politics transformed? · How can the theory-practice interface catalyze new poetics or praxis in relation to a singular artistic research project or in a wider context for any field of art? · How does the artistic/ practice-led research context challenge the ways the research is written, expressed or performed. Through these questions, the main aim of the event is to engage in a shared exploration of bold and visionary thinking across different entangling practices. Historically, the Art of Research conference has been widely appreciated as an unconventional and highly-interactive format for discussing, exhibiting and performing different modes of discourse. Art of Research VI will offer an academic framework for discussing catalyses, interventions and transformations in a diversity of art-, craft- and design-related practices. The Conference is interested in proposals drawing from the full spectrum of artistic and practice-led research today. We encourage submissions from artist-researchers and practice-led researchers representing different art forms e.g. contemporary art, film, photography, scenography, craft, design, media and architecture. The conference themes include a diversity of perspectives that relate to the conceptualization and to the different forms and formats that artistic research can take, as well as to its contribution to critical thinking and groundbreaking change. Other questions that potential contributors see as productively challenging these themes are most welcome. This type of papers must be submitted together with works of art, artifacts, or documentation of artistic processes and must contribute to the understanding of how the visual/audiovisual and the textual are unified in research. Each submission must also include a separate description of the artwork (80 words max.) and visual material such as photographs or video (digital formats only, up to 10MB in total). The submission should also entail explanation of the related equipment required to display this material. Please note that the transportation of the artwork(s) is the author’s responsibility. The exhibition will be curated by the organizers. All contributions will be double-blind peer reviewed. To facilitate the review process, authors are responsible for removing any identifying information from their submissions that might lead a reviewer to discern their identities or affiliations. The author’s name in self-citations must be replaced with “Author” in in-text citations, reference entries and footnotes. For the paper template and other practical details, see the conference web site at artofresearch2017.aalto.fi. For more information, please contact aor2017@aalto.fi. This is the sixth in the Art of Research conference series, the first of which took place in Helsinki in 2005. The conference is co-organized at Aalto University by the Department of Design, the Department of Film, Television and Scenography and the Department of Art, in the School of Arts, Design and Architecture. This entry was posted in Art, Conferences, Design, Graphic Design, New Media, Photography, Practices, Theory on January 18, 2017 by Saara. Entries for the world’s most time-honored media arts competition are now being accepted! 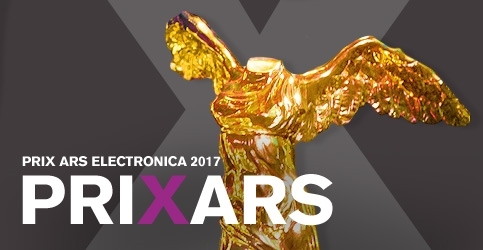 The 2017 Prix Ars Electronica will honor excellence in the following categories: Animation/Film/VFX, Digital Musics & Sound Art, Hybrid Art and u19 – CREATE YOUR WORLD. Winners receive the coveted Golden Nica statuette, prize money of up to €10,000 per category, and a prominent appearance at the Ars Electronica Festival in Linz (September 7-11, 2017). Information about entering as well as nominating artistic projects is available at www.aec.at/prix! Submssion deadline is March 3, 2017. Participation is free of charge. WANTED: Female Media Artists! Annually since 1987, the Prix Ars Electronica has issued a worldwide open call to men and women working in media art. But what about the percentages of female media artists who have submitted projects for prize consideration and been singled out for recognition? How have these ratios developed over the competition’s 30-year history? And for that matter, how well have women been represented on Prix juries over this time? The Prix Ars Electronica staff has taken a close-up look at this situation. You can read about their findings in the latest our Ars Electronica Blog. 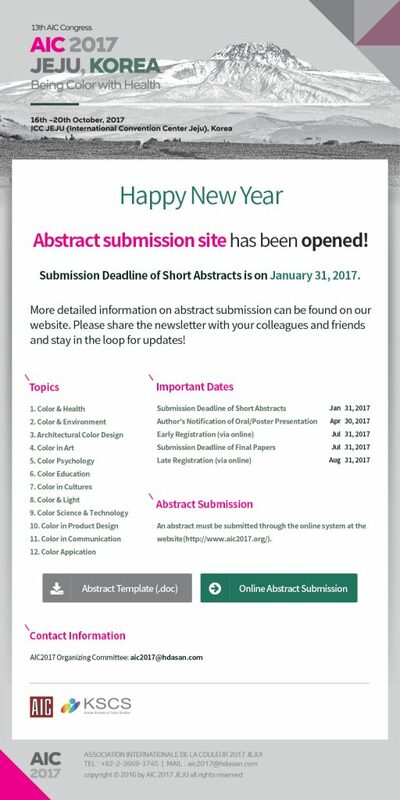 We look forward to your submission and wish you every success! This entry was posted in Art, New Media on January 18, 2017 by Saara. The 1st International Conference on Disability Studies, Arts, and Education brings together researchers, students, and members of the disability and crip art communities who share an interest in, or whose work addresses, the intersections and interplay between critical disability studies, arts, and education. The scope of the conference comprises all art forms, as well as different contexts of education, such as primary education, artist education, and public pedagogy. The conference is co-hosted by Aalto University and the University of Kansas. · Acceptance letters received by April 15, 2017. · Registrations and final commitments to present (presenters): August 1, 2017. · Registration to attend: September 1, 2017 (non-presenters). This entry was posted in Conferences, Design on January 13, 2017 by Saara. This entry was posted in Art, Conferences on January 11, 2017 by Saara.